Tis’ the season for snacks and tasty delights, so today I have another quick dip that you might want to whip together for your New Years guests. 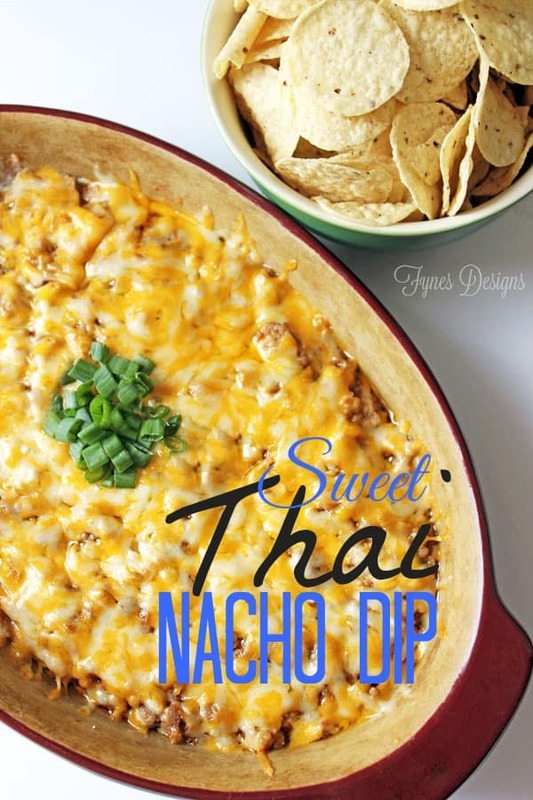 I love this Sweet Thai Nacho Dip, it comes together ridiculously fast and most often I have the ingredients in the house so it doesn’t take any special planning. Brown the hamburger- feel free to add a bit of spice (onion, garlic, etc.) but totally not necessary. Add 1/2 cup of Sweet Thai Chili cooking sauce to the browned meat, mix to coat. Spread softened cream cheese onto the bottom of an oven proof dish. Spread hamburger mixture over cream cheese layer. Add grated cheese to the top. If you’re serving this right away (the meat is still hot) you’ll only need to pop it in a 350 degree oven for 5 mins to melt the cheese. If you’ve made it in advance, it will go in a 350 oven for approx. 20 mins. 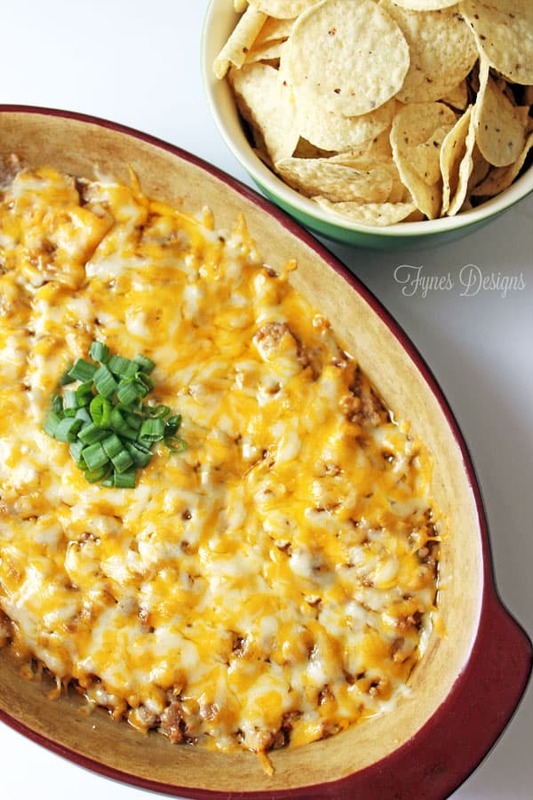 *I actually prefer this dip when it has cooled for a few minutes, but I’ll let you be the judge! Serve the sweet thai dip with nacho chips of choice, and let your guests dig in! Now go get your dip on… and have a VERY Happy New Year! See you in 2014!! This looks delish! Perfect for entertaining. Happy New Year! Looks wonderful! Happy new Year! Looks absolutely yummy. Will have to try it soon. 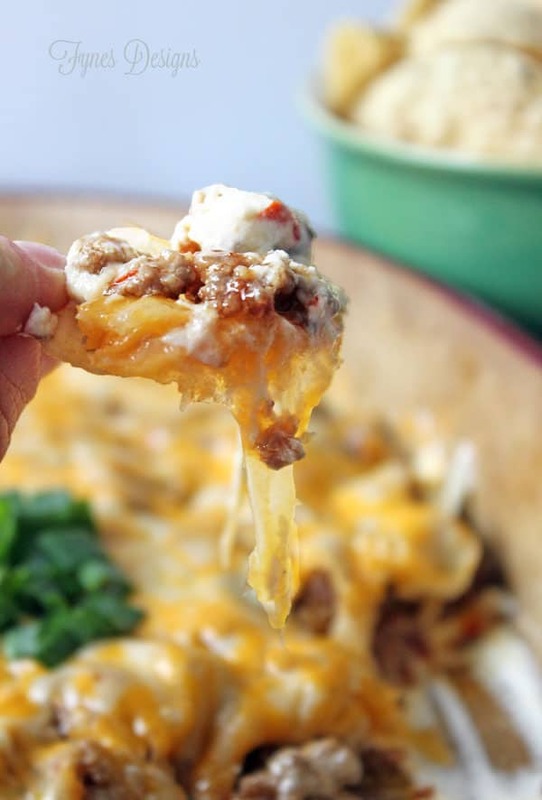 This dip looks so good! The Thai sauce sounds really good in this, dips are one of my serious weaknesses!!!! That does look sooo good, thanks for the recipe – Pinned!! Whoa this looks delicious! Anything with sweet Thai chili sauce is just that much better! Happy New Year Virginia! Oh my… That looks yummy! Thanks for the recipe I will definitely be pinning this for later. Happy New Year! You have no idea how badly I want to try this. Like RIGHT NOW! GO. DO IT! SO yummy! I made this last weekend and its AMAZING!!! Thanks Vanessa! I’m glad you liked it! !